At Audiology Medical Services, we understand the initial assessment process, fitting, and adjustment period can be a worrying and challenging time - especially for the novice hearing aid user. No query is too silly. Our team is on hand to offer advice, support and guidance to you and your family throughout your hearing care journey. If you answer ‘yes’ to one or more of the below statements, we would encourage you to book in for a hearing test with our audiology team. Similarly, you may think your hearing levels are normal, but it wise to remember that you may not recognise a deficit right away. Hearing loss often tends to occur gradually over time. By being proactive, you can help diagnose symptoms early before a deterioration progresses. Does my child needs a hearing test? Every child of primary school age should be tested, regardless of whether they have a suspected hearing loss or not. At Audiology Medical Services, we are committed to breaking down the barriers of paediatric diagnostic audiology in Ireland. No child should endure lengthy waiting lists in a bid to assess their hearing level. With the roll- out of child-friendly sound booths and state-of- the-art technology at a number of our clinics, we aim to make paediatric hearing examinations more accessible than ever. Could my hearing loss be caused by wax build-up? Excessive wax accumulation can cause a drop in hearing. In most cases, however, a hearing impairment is not due to wax alone. Upon examination, we will be able to determine the level of wax in each ear and advise another treatment option, such as micro-suction or irrigation. Do you offer free hearing tests? At Audiology Medical Services, we believe that everyone over the age of 55 should have a hearing test as part of their overall wellbeing. In support of this belief, we extend a free examination to over 55’s in all of our clinics. Should I bring someone with me to my hearing test? We believe that hearing loss is a family issue. Your hearing test results and our recommendations based on these will be very detailed. This can be overwhelming for the patient, so we always advise to bring along a family member or friend to your appointment. Their support during your adjustment period is vital to the successful management and use of your new device. They will take note of information you may overlook during your consultation and we often use that person’s voice as a test for how effective your hearing aid is working. The three main classifications of hearing loss are sensorineural, conductive and mixed hearing loss. Sensorineural hearing loss is caused by damage to the cochlea (inner ear), while conductive hearing loss is caused by damage to the middle ear. A mixed loss refers to a combination of the former. What are the degrees of hearing loss? How many hearing aid brands do you carry? As an independent practice with no ties to any specific brand, we stock a range of hearing instruments to suit your individual needs. These range from Lyric to Phonak and more. We have selected brands which we feel are technologically advanced, have good reputations, and are backed by companies willing to work closely with our patients. Can I buy just one hearing aid? This answer will depend on the results of your hearing evaluation. Generally speaking, your hearing performs much better with two instruments (especially in noise). Using one hearing aid alone will increase volume, but it will be detrimental when trying to hear in a noisy environment. The ear without a device will in turn be more strained which could ultimately deteriorate its health further. Due to financial reasons, some patients may only be able to purchase just one instrument. When this is the case, we recommend that a second hearing aid be added as soon as possible. Will Hearings Aids Restore My Normal Hearing? In short, the answer is no. Most cases of hearing loss are caused by damaged or missing hair cells in the cochlea (inner ear), and these cannot be replaced. But thanks to huge advances in technology, this means modern hearing aids are a proven solution to greatly improving your ability to hear and your overall quality of life. Why should I opt for a more expensive device compared to cheaper alternatives? Just like your eyes, teeth and body, your hearing should be considered an investment. Low-cost hearing aids are very basic and their performance falls markedly when used outside the remit of quieter environments. A bargain may seem more lucrative and friendly to your bank account now, but the effectiveness of the device and its impact on your hearing may cause problems further down the line. At Audiology Medical Services, we will work with you to choose the right hearing aid whilst taking your budget into consideration. Some people may find their hearing aids don’t work, but this is usually down to the device not fitting correctly or the user feeling uncomfortable wearing them. A slight adjustment to your device settings could see a vast improvement in the quality of your hearing. How long will I have to wait for my hearing aid? It usually takes approximately seven days, and no longer than two weeks. However, you will need a second consultation for fitting and verification. How long will it take to adjust to my new hearing aid? Depending on your level of hearing loss, you will need to allow yourself a significant timeframe to adjust following the fitting of your device. You will more than likely experience sounds you may not have heard for years, and these will seem unusually loud to begin with. This is perfectly normal, and everything will settle once you become acclimatised to wearing your hearing aid. At Audiology Medical Services, our ongoing rehabilitation programme is of equal importance to the examination and fitting stage of your journey. We pride ourselves on being one of the top hearing care specialists in the country for best practice patient care. With this in mind; reliability and consistent support will be offered throughout your transition. To ensure you enjoy the full benefits of your new device, it is important that you set realistic expectations from the outset. Your audiologist will establish goals, set exercises and schedule counselling appointments for these first nine months. During this adjustment period, we recommend you keep a diary of specific problems andsituations that may arise. During your follow-up consultation, we can easily fine tune or change the settings of your hearing aid to match your needs. How do I care for my hearing aids and what happens if they break? During your fitting, we will offer advice on how to care for your specific brand. For example, some devices are not waterproof and can be damaged while swimming or in the shower. Your audiologist will educate you on how to clean your hearing aids, removing particles such as wax and debris that may clog the microphone. At Audiology Medical Services, we will provide a thorough cleaning of your hearing aids every few months as part of our service to you. We also accept responsibility for any repairs, ensuring they are back to you in working order as soon as possible. A grant towards the cost of your hearing aid is available under the Treatment Benefit Scheme. However, this is dependent on you or your spouse/civil partner’s PRSI contributions. If you qualify under the grant scheme, the Department of Social Protection will pay up to half the cost of a hearing aid or repairs to a hearing aid, subject to a fixed maximum contribution of €500 for one device and €1,000 if you require two hearing aids. Recent changes in legislation mean the grant is more accessible and now includes monetary support for those who are self-employed. More information on the Treatment Benefit Scheme can be found at www.welfare.ie For those with private health insurance cover, tax relief can be claimed for expenses at the highest rate payable. 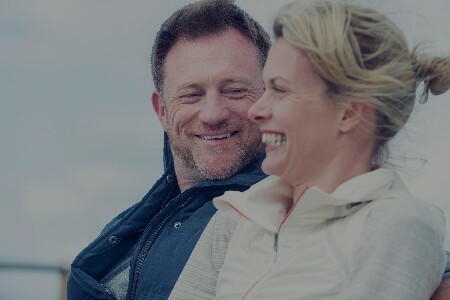 If you are not totally satisfied after your second follow-up appointment, we are happy to offer a full refund on your hearing aid provided it is within 40 days of your initial fitting. However, this is very rare and we pride ourselves on an extremely low device return rate.